The Vale Resort is a destination in its own right with hotel accommodation, two championship golf courses and the largest spa in Wales. The luxury spa boasts an amazing array of treatments, exceptional relaxation zones and fine leisure facilities. The Vale Spa encompasses everything you would want in a spa. Every detail of your spa journey has been planned to perfection. Expect to be impressed! "I visited the spa and had a Swedish massage which was fantastic. I'm not into talking whilst having a massage and my masseuse was very professional and focused on my massage, not conversation which was great! The facilities themselves are lovely, although I did find a few things a bit tatty. There were unused foot baths that looked like they once housed fish in one of the relaxation rooms. The showers outside the spa sauna did not work at all on the warm side and a only worked on the cold side if you like running around to get wet! The main thing which really let the place down was the floor- I dropped some water on the floor by the fruit and when I wiped it up with a tissue it was black with dirt! Aside from that the place has a nice relaxed feel to it and I would go back for another massage in the future. " "This spa in my opinion is best spa in South East Wales. The heated water beds are so relaxing "
Spa cuisine and light bites served in the Chai Café; the Vale Grill restaurant offers an à la carte menu of British and Welsh dishes; light meals are also served in the Vale Bar. 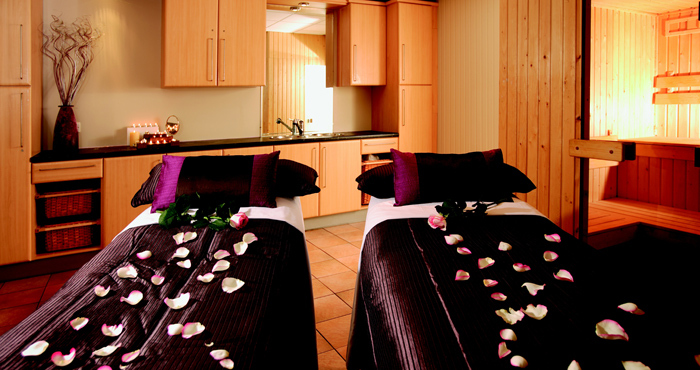 Includes a 90 minute treatment, light lunch and full use of the spa facilities. Includes 120 minutes treatment time, light lunch and full use of the spa facilities. Includes 180 minutes treatment time, light lunch and full use of the spa facilities.